The HIRES spectrograph at Keck is a grating cross-dispersed echelle spectrograph. Albeit there is a lot of useful information on the HIRES webpage, here are a few more tips that may help you plan your observing run. If you are observing wavelengths above 6000 Å, one important concern is second order contamination. The HIRES spectrograph uses two gratings to disperse light, so that you can see fine details in the spectra. The main grating, the "echelle grating", is a diffraction grating optimised for high spectral orders. Those high orders overlap, so you cannot distinguish them (they would fall at the same observing angle, i.e., at the same place in the detector). A second grating, which is perpendicular to the echelle grating, is used to disperse the echeller orders, so that they can fall at different regions on the detector. This second grating is the "cross disperser". Notice that a prism could be used instead as a cross disperser. For example, the MIKE spectrograph at the Magellan telescope uses a prism to disperse the echelle orders. When you are preparing your HIRES configuration, you must be careful about potential second order contamination (caused by the second grating -the cross disperser). "Second order" wavelengths below half of your maximum wavelength will contaminate your "first order" spectra. This doesn't happen with the MIKE spectrograph, because the cross disperser is a prism. You must worry about second order contamination with HIRES only if you are observing for lambda_1 (first order) > 6000 A. The reason is that for lambda_1 = 6000 A, the second order wavelength is half that value, lambda_2 = 3000 A (the ultraviolet atmospheric cutoff). So, Earth's atmosphere would be your "filter", blocking the second order light below 3000 A. In practical terms, you must define first your maximum wavelength and then use a filter to cut the second order contamination of wavelengths half of that maximum value. For example, if you would like to observe up to lambda_1 = 9000 A, then you must use a filter to block lambda_2 ≤ 4500 A. There are several filters available with HIRES, so that you can use the more convenient. For example, if you want to observe the OI triplet at 777 nm, then you may want to set up a maximum lambda_1 = 778m, corresponding to lambda_2 = 389 nm, and so you may choose the kv389 filter. Notice, however, that the filters are not perfectly sharp, so that there would be some small second order contamination around the OI triplet. This contamination is minor, so you may be OK with it. All depends on the level of extra "noise" that you're willing to accept. For the majority of observers aiming at low-moderate S/N (let's say, S/N ≤ 300), this should be OK. If you want to exclude any minor contamination to the OI triplet, then you must use a redder filter. In the example above, you would need a filter with lambda > 389nm. The problem is that if you use a filter that is too "red", then you may also block interesting regions of the first order light. For example, if you use a filter to block lambda < 400 nm, then you will miss the H and K lines. My favourite configuration with HIRES/red is to use the cross-disperser angle xdisp = +0.24, echelle angle = 0.0, and filter kv389. In this configuration the useful spectral coverage would be from about 390 - 780 nm, so you can get data from the H and K lines in the UV to the OI triplet at 777nm. The HIRES mosaic detector would actually cover a few more orders in the red, but they would be contaminated by second order light. So, my reddest useful order in this configuration would be the order of the OI triplet. Regarding the spectral resolution, you can achieve R ~ 90 000 - 95 000 with HIRES. This is based on my own measurements taken in 2004 - 2006. The highest resolution is achieved with the 0.4" slit, corresponding to about 2 pixels, so you MUST use 1x1 binning (i.e., no binning). For the highest resolution I recommend the E4 slit, that is long enough for sky subtraction. If you're using a slit ≥ 0,8 arc sec, then you can bin by two (2x2 binning) without loosing any spectral resolution. Encrypted in its flag lies one of the areas in which the nation has a lot of potential: Astronomy. When international media talk about Brazil, it is often about its soccer culture, especially this year because the country was the host of the World Cup 2014. But this is also a nation that within the space of two decades has escalated 11 spots in the world ranking of scientific production, reaching a decent 13th place worldwide, according to a recent survey by Thomson Reuters Corporation published by the Folha de São Paulo. Clearly, Brazil has more to brag about than just soccer. Encrypted in its flag lies one of the areas in which the nation has a lot of potential: Astronomy. To the surprise of many, the position of the stars in the Brazilian flag are portrayed as they would be seen by an imaginary observer at an infinite distance above Rio de Janeiro. But of course, this is not the only bond the country has with the oldest science of all. In fact, this year, an international team led by astronomer Felipe Bragas-Ribas, of the Observatório Nacional at Rio de Janeiro, found for the first time rings around an asteroid. The January 2014 issue of the Astronomy Magazine highlights the research on Black holes by Brazilian astronomer Rodrigo Nemmen, as one of the top ten space stories of 2013. Last year, Jorge Meléndez, an astronomer at the University of São Paulo, led a team that made a remarkable discovery: they found the oldest solar twin. These are examples of the impact that Brazil is making in the international astronomy arena. Speaking about twins and to get a better image about Brazil’s impact in astronomy, let’s compare the Institute of Astronomy and Geophysics (IAG) at the University of São Paulo and the Institute of Astronomy and Space Physics (IAFE) at the University of Buenos Aires. These institutes have about the same amount of Astronomy professors, belong to the best universities in their respective countries and are located in the largest metropolitan areas of South America. One way to make this comparison is through the m-index, a measure that shows the impact (h-index) of the published work of a scientist normalized by his or her experience (number of years publishing papers). This comparison (figure below) shows that both the IAG and the IAFE have very similar m-index impact, indicating a similar competitiveness internationally. Comparison between the impact (m-index) of publications by astronomers at the Institute of Astronomy and Geophysics (IAG, Brazil) and the Institute of Astronomy and Space Physics (IAFE, Argentina). Nevertheless, the nation needs to keep taking actions in order to achieve its full potential. 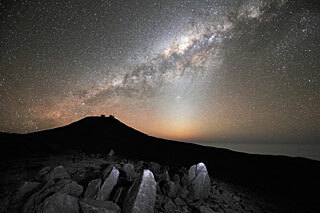 Meléndez’s discovery of the oldest known solar twin was possible because of the use of an elite telescope that belongs to the European Southern Observatory (ESO). Further astounding discoveries by Brazilian astronomers could be made if the country becomes ratified as a member of ESO, a process that started in 2010. “There would be enormous benefits in different fronts. In the technological front, we could have partnerships to develop instrumentation for ESO [...] Regarding the use of the telescopes, we will be equal partners with other European countries, so that we could compete for observing time either for small or large projects. This can allow Brazilian astronomers to develop ambitious projects involving large allocations (about 50-100 nights) of observing time, something that is not possible in other observatories where Brazil has only a small share of time. Currently I'm developing one of those ‘Large ESO Programmes’, to search for planets around solar twins.” - says Meléndez. Perhaps the key to improve even more the impact of Brazil's astronomy is also encrypted in its flag: Ordem e Progresso (Order and Progress), a progress that could be achieved by making available to the Brazilian astronomical community the world's best telescopes to perform cutting-edge research. Brazil is the seventh largest economy on Earth, but despite being an important player in the world, its expenditure in science is way behind developed countries. 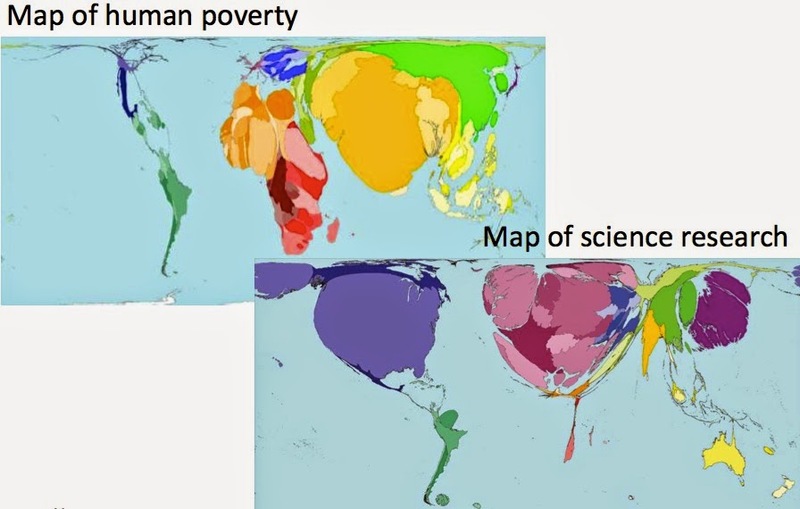 Below I show the science spending in different countries in 2011, using publicly available data from the worldbank. As can be seen, Brazil expenditure in science is only about 1,2% of its GDP (gross domestic product). This is much lower than developed countries with lower GDP than Brazil, such as Austria (2.8%), Denmark (3%), Finland (3.8%) and Sweden (3.4%). 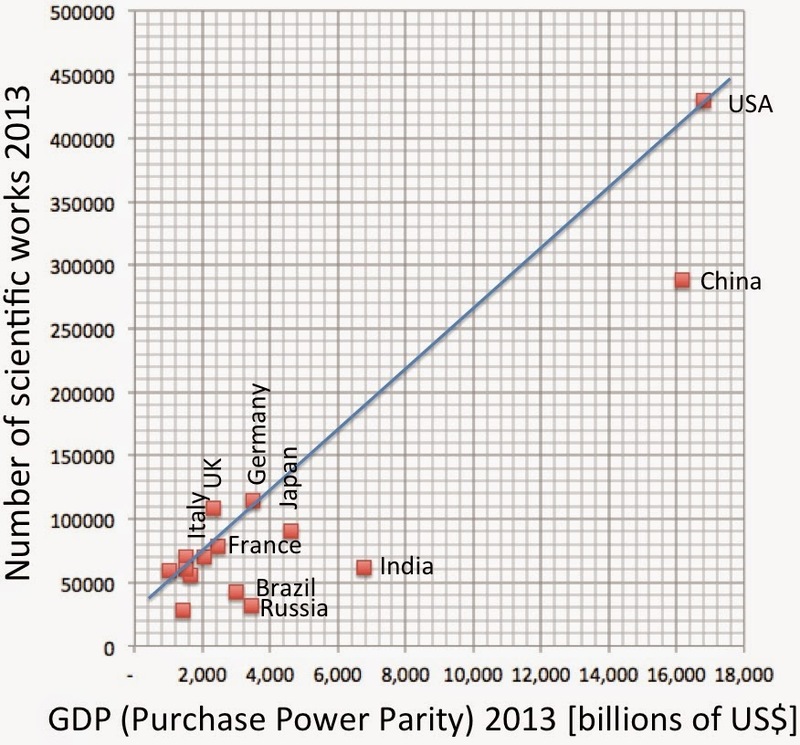 If we compare Brazil with countries with higher GDP, science funding in the country is also below. For example, the USA (1st economy, 2.8%), China (2nd, 1.8%), Japan (3rd, 3.4%), Germany (4th, 2.9%), France (5th, 2.3%), and United Kingdom (6th, 1.8%). This low funding in science probably explains why the number of published scientific works in Brazil is only about half of what it should be for the size of its GDP, as shown in the figure below. The low number of papers simply means that Brazil is not investing enough in science, as already pointed out by the plot above. The number of papers published in Brazil is too low for the size of its economy. Figure made using data from the world bank and Thomson Reuters. (c) Jorge Meléndez. Based on the comparisons above, I suggest that Brazil should increase its funding in science and technology by about a factor of two. In Astronomy, the obvious choice would be to invest in the European Southern Observatory (ESO), the world largest and more productive observatory on Earth, that will built the 39m ELT, the largest telescope on Earth. Why should a developing nation such as Brazil invest in Astronomy while there is still poverty in the country? Because Astronomy is key to fight poverty and improve lives. Astronomy is THE interdisciplinary science per excellence. It is based on physics and maths, but it can also involve other areas such as chemistry, meteorology, geology, biology, history and archeology; it has also a strong technological component, as advanced technology is required to built large telescopes and state-of-the-art instrumentation. Astronomy can greatly contribute to improve education at different levels, helping students to interconnect apparently unrelated areas. More importantly, Astronomy fascinate children, being thus an excellent vehicle for introducing them to science and technology, which are fundamental to develop a country. Soccer is a national passion in Brazil, where soccer players are celebrities. It is OK to follow soccer as a career, but certainly a country needs other role models besides soccer players. We urgently need inspiring role models in science, we need successful scientists performing cutting-edge science. If we aspire to make major discoveries, we certainly need appropriate facilities. Brazilian astronomers were very excited back in 2010, when Brazil signed an agreement to join ESO, the largest and more productive observatory on Earth; unfortunately, Brazilian authorities are taking too long to ratify it. 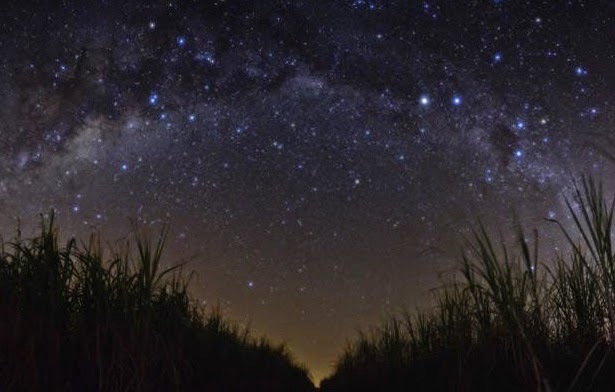 An example of how astronomical discoveries can promote science in Brazil, was the oldest solar twin identified by an international team led by Brazilian astronomers in 2013. An important implication is that it helped to solve the lithium mystery in the Sun. The news was highlighted both internationally and nationally, with more than 100 local media reporting the discovery. A local competition made to "name" the oldest solar twin, received almost one thousand entries, showing thus an important impact. Other recent exciting finding by Brazilian astronomers was the discovery of rings around an asteroid, known previously only around giant planets. Another example by a developing country is the recent successful Indian space mission to Mars, showing how great science achievements can be a matter of national pride. 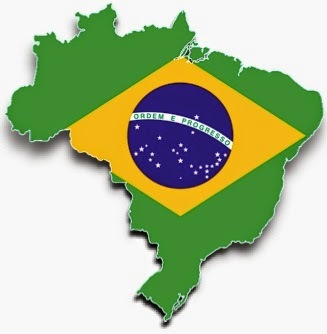 Brazil's exports are mainly primary mineral and agricultural products. We need more than just exporting coffee and bananas to develop a country. The development of technology in Brazil is way behind other countries; most high tech products are either imported or just assembled here. We need to invest heavily in education, science and technology, and Astronomy can help to educate our children, and stimulate our most talented minds to follow careers in science and technology. Existent planet formation theories have successfully explained why there are jovian and terrestrial planets in our solar system, but have failed to justify why the Red Planet is so small. According to most models, Mars should be as big as Venus and Earth, but the planet is only a tenth of its neighbours Through new simulations, an international team led by Brazilian astronomer André Izidoro, shed light on the mystery of why Mars failed to grow similar in size. Previous simulations of planet formation, with a solar nebula that varies smoothly with distance from the Sun, produce a body with approximately the size of our own planet Earth in the orbit of Mars, i.e. 1.5 AU* from the Sun. A puzzling matter since the four rocky planets are composed by the same planetary embryos. Following studies showed that a planet with the size of Mars could have formed in its orbit if the solar nebula was nonuniform, with a belt containing more material near today’s Earth, followed by a belt with less material in the region where the Red Planet is today. Up to now, the most valid theory to explain such unusual distribution is called the “Grand Tack” model, that assumes the inward and then outward migration of Jupiter. These unlikely events in the early Solar System could have created favorable conditions for the formation of a planet such as Mars. Looking for a better alternative to the “Grand Tack” model, Izidoro and his team assumed that material flowed toward the Sun moving at different speeds at different distances from the star, generating a depletion of material somewhere between 1 AU and 3 AU. 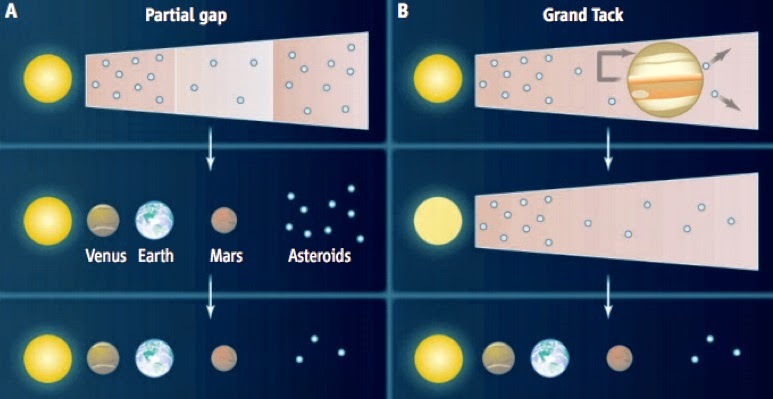 A gap that could explain Mars’ size. “This deficit in local mass may be common in protoplanetary disks. However, the location and characteristics of this region can be very sensitive to the properties of each model. In our case, Mars formation around 1.5 AU is also due to the gravitational effects exerted by Jupiter and Saturn,” explains Izidoro. This research was presented in the paper “Terrestrial planet formation in a protoplanetary disk with a local mass depletion: A successful scenario for the formation of Mars”, by André Izidoro et al. to appear in the Astrophysical Journal Letters (February 2014). The team is composed of André Izidoro (Universidade Estadual Paulista, Brazil [UNESP] - University of Nice-Sofia, France), Nader Haghighipour (University of Hawaii-Manoa, USA), Othon Winter (UNESP), and Masayoshi Tsuchida (UNESP). * One astronomical unit (AU) is the distance from the Earth to the Sun. University of Nice-Sophia, Nice, France. A century ago our universe was just a little village called the Milky Way. Today, we know that there are billions of galaxies in the cosmos, and that the universe is expanding due to the Big Bang. The Peruvian Andes played a fundamental role in those discoveries. Less than a century ago, Edwin Hubble showed that certain "nebulae" are actually galaxies like our Milky Way, by using the so-called period-luminosity relationship of variable stars known as cepheids, that allowed him to estimate distances. Using cepheids located in the Andromeda "nebula", Hubble concluded in the 1920s that Andromeda is far outside our Galaxy. Later, Hubble found that the most distant galaxies have the largest velocities away from Earth. This means that the Universe is expanding, and that everything started in the Big Bang. Hubble relied on the period-luminosity relationship of cepheids to estimate how far away are distant galaxies. This relationship was discovered by American astronomer Henrietta Leavitt, using observations taken in the Peruvian Andes, more exactly from the Boyden Station in Arequipa. The Harvard College Observatory built that observatory in the 1890s and early 1900s, to have access to the Souther Sky. Henrietta Leavitt measured the brightness of variable stars in the Magellanic Clouds, and discovered the period-luminosity relationship followed by cepheid variables. Thus, observations from the Peruvian Andes were key to set the standard ruler to measure large distances, leading to the birth of Extragalactic Astronomy and Cosmology. In another post I'll describe how observations gathered in Harvard's observatory in Arequipa led to the birth of Stellar Astrophysics. Stellar populations. I) What is the difference between population and sample? How many stars are in the Milky Way? The total population of stars in our Galaxy is enormous (about a few hundred billion). We cannot count or study every single star in our Galaxy, hence Astronomers must select relatively small samples of stars (hundreds or thousands) to study our Galaxy. How to select a sample that is representative of a large population? This is far from trivial; incorrect conclusions can be obtained if there is a bias in the selection. An example is the study of the mean age of the whole population of stars in our Galaxy. Imagine that to do this job you select a sample of stars located in the Galactic halo, far away from the Galactic disk. Halo stars are old (about 10 Gyr), therefore you would incorrectly conclude that stars in our Galaxy are mostly old. Problems with sample selection can also affect our daily life. Think about polls for a Presidential election, like the one we're having in Brazil. Poll companies cannot interview the population of all Brazilian voters, they have to select a sample that is not necessarily representative of the entire population. Indeed, the results of the first round were surprising, candidate Aécio Neves was the runner-up, gathering far more votes than those estimated from the polls. He will face current President Dilma in a second round, on October 26, 2014.